Students at Charlton school in Wellington, have been rehearsing in the face of 'iceversity'. Students have been dedicated to preparing for their production of Fame JR which will be performed at Charlton School from March 6 - 9, starting at 7.30pm each evening. Tickets are £3 and £3.50 available from Charlton School Finance department. Show director, Anna Vickers said: "Friday night is already a sell out and the students hope their audiences will show the same courage by turning out to support the production, regardless of the challenging weather. She said students had been working with their teachers since September to put the show together and would be performing for only the second time in their new building on Apeley Avenue. 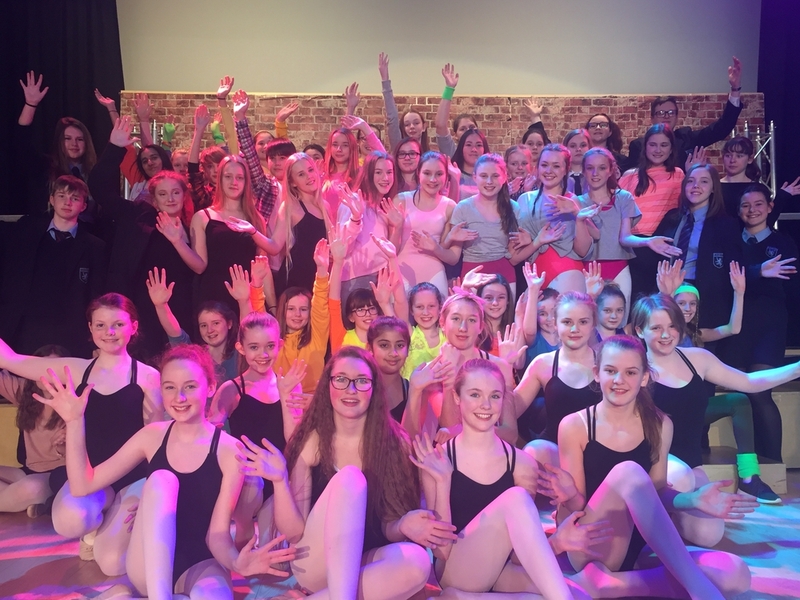 "The school has been supported by parents, members of the local community, over 150 students who are performing in the shows and over 40 teachers who have given their time freely to support the production." "Following the international acclaim of the hit motion picture, television series and stage show, Fame The Musical JR features a high energy, contemporary pop score (which includes the hit title song) and a touching coming-of-age story." Auditions were held at the end of September with more than 200 hopefuls wanting to land a part in the production. Over 150 students from years seven to10 are taking part in the production with many more helping behind the scenes. "The show explores the issues that still confront many young people today, including prejudice, identity, self-worth, literacy and perseverance. "I am so proud of everyone involved, Charlton has come together like a true school community to produce an event which will be remembered for years to come, I wish the students all the best for their performances next week and am sure that their hard work will pay off."